Global warming is now seen as major threat to security in the 21st century according to a study that was ordered by the foreign ministers of G7 states. Regardless what results the end of year conference on World Climate in Paris will produce, climate changes will have inevitable and severe impact on stability and vulnerability on states and societies worldwide. Even apparently stable states are under threat, not just fragile ones. The authors are naming eight risks, which turn global warming into a security threat. Among these are access to water and to fertile land, the increase of extrem weather conditions, and rising sea level, which will not only lead to loss of inhabitable land, but cause shifts of borders as well. Although violent conflicts to ensure access to water are still a rare phenomenon, competing for water will increase. Overall, the fight for resources will lead to violence, if not civil wars. 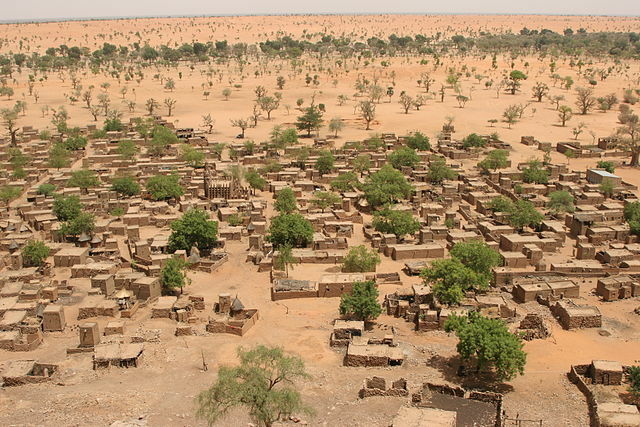 The example of Mali shows that these conditions are coming tragically into place: Various periods of draught have dried out water sources, devastated farmers livestock, and thus caused a mass exodus of the countries young population. It is the mix of these negative circumstances, along with economic decline, weak government, terrorism and crime that induce further conflicts. The alliance between Al Qaida and the Tuareg rebells that eventually led to an international military intervention is such an example. According to the authors of the study, there won’t be any quick remedy. They recommend a new global alliance that combines diplomacy, development cooperation and defense under an umbrella. For further information on the study can be found at ClimateandSecurity.org, at Wilson Center or Adelphi.